Ever downloaded a user script from website other than userscript.org and figuring how to install it into Firefox? Ever write your own user script and have problem install it into Firefox? I do have those problem when I first installed Greasemonkey and download some user script to try. 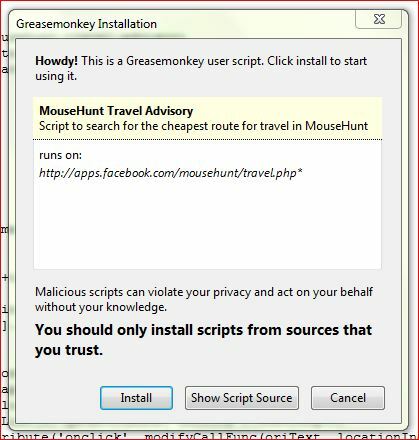 The Greasemoneky Installation dialog usually won’t pop up if I download any user script from website other than userscript.org. Every time I drag and drop a user script file into Firefox, the Greasemonkey will definably pop up a install button on top of the page, but the button never work out for me. After spending some time playing with user script, I finally discover a better way of install a user script into Firefox instead of click on the New User Script menu button and paste all code into the new created script. It is nothing new or special, but the menu button is hidden instead of disable when no user script is open in Firefox. This cause many users include me did not realize the existent of the button at all. 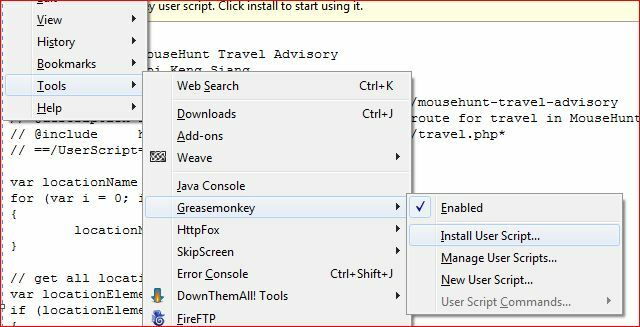 To install a user script after download and save at local disk, just drag and drop the file into Firefox, then go to Tools > Greasemoneky > Install User Script. If you did not found the Install User Script button, this is because you are currently not viewing the tab that contain the user script file open in Firefox. After click on the Install User Script button, the Greasemonkey Installation dialog will pop up. Click on Install button after the countdown end and the user script will be installed into Firefox. I’m very curious why the button is hidden instead of disable. It just doesn’t make sense to me. The install button pop up on top of the page every time user drop a user script into Firefox never work, a bug? Anyway, I never know the answer unless I go and ask the developer, which I’m not going to do.